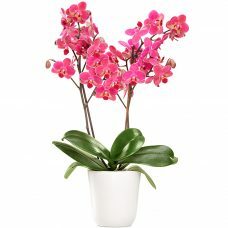 Send your purest thoughts with these Captivating Hot Pink Orchid Blossoms which symbolize grace, joy and happiness and can also symbolize innocence and femininity. 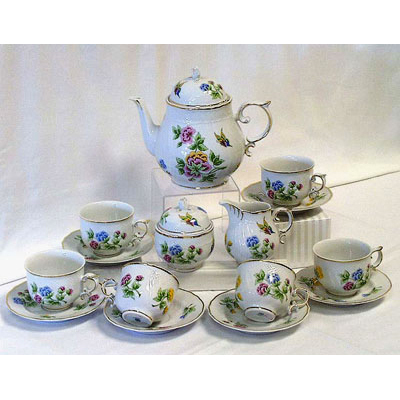 A rainbow of flowers for brightening the day. 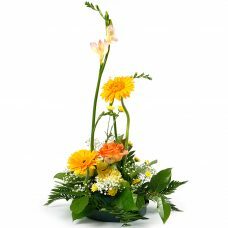 The bouquet includes a summery mix of fresh blooms such as yellow daisy chrysanthemums, purple asters, greens and more. 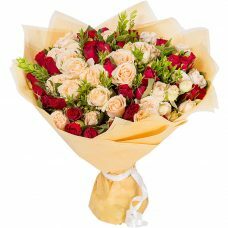 This gift contains the freshest flowers including red and peach color standard and mini roses, and greenery wrapped around with gift paper. 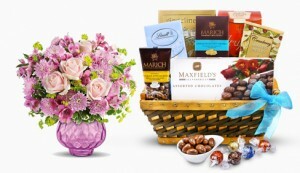 A heartwarming arrangement of blooms to celebrate any exceptional occasion. 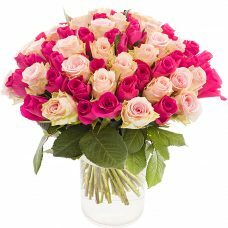 Heads will turn and hearts will flutter when the Recipient receives this Enchanting Rose Blooms Striking Bouquet of Flowers. 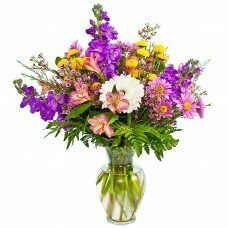 An inspiring bouquet for sending your best wishes. 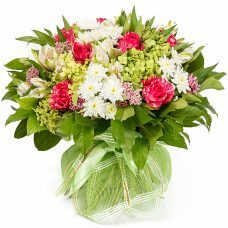 As cheerful as a burst of sunshine, this beaming bouquet of blooms is a wonderful way to light up someone’s day with color and fragrance. 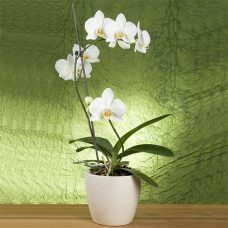 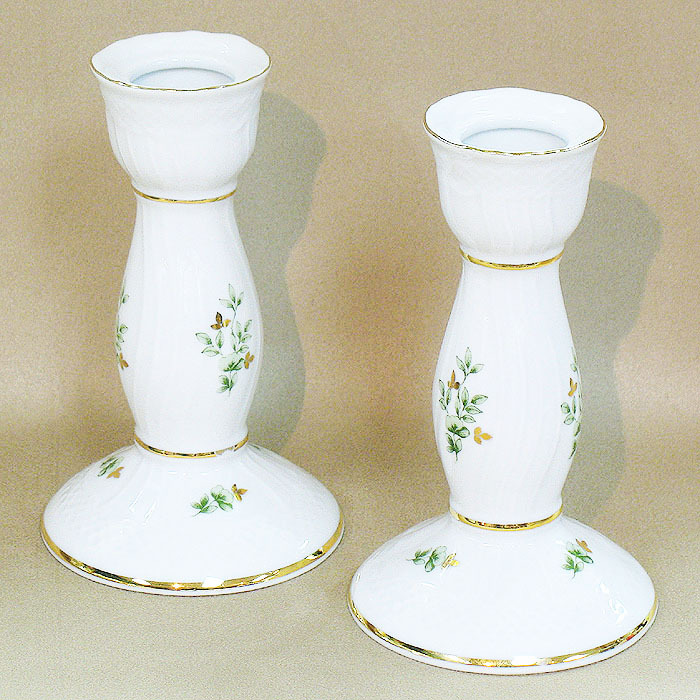 Send your purest thoughts with these vanilla white orchids represent reverence and humility, innocence and purity, and elegance and beauty. 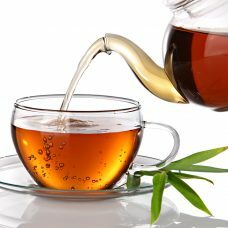 A rainbow of flowers for brightening the day. 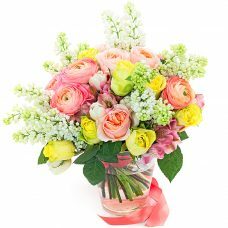 The bouquet includes a seasonal mix of fresh blooms such as pink roses, yellow roses, white lilacs, pink alstroemerias, greenery and more.